with education as the number one priority. 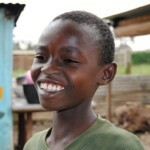 Orphaned and vulnerable children in Kenya are often considered the “forgotten” children. They have endured emotional hardships and traumatic experiences, and are largely unsupported and misguided leading them down painfully destructive paths. We have come to realize, through our various successes and failures over the years, that in order to successfully empower and transform young vulnerable lives, one must take an integrated approach with education as the number one priority. 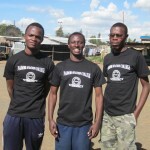 We believe that without a quality education, the opportunities remain bleak. However, academic excellence is impossible without a solid foundation fuelled by good nutrition, medical care, physical activity and skills training. Each of these pillars must function, in unison and consistently over a committed period of time, in order for true change to take place. 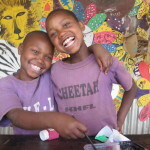 By deferring to this integrated approach, we believe that we are successfully transforming young vulnerable Kenyan children into responsible, confident and productive Kenyan youth. Education empowers and transforms lives making this our number one priority by providing quality primary, secondary and post-secondary education. Good nutrition helps combat the ill effects of malnutrition. 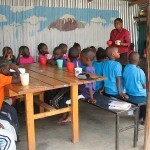 Healthy and balanced meals are provided for the children at HHFL on a daily basis. Proper medical care and ongoing supervision maintains a healthy body and helps stem the threat of sickness and infection. Recreation and training programs at HHFL improve self-confidence, build life skills and encourage behaviours of healthy, positive living.